Do you want to learn how SEO works in the time it takes to brew your coffee? We’ve put together a quick blog of all the basics you need to know: from how a search engine works, to important SEO for your website and what changes you can make on your site today. After-all, you've spent all this money to create your website, you need to know how to make it visible to search engines queries. And the good news is that you don’t need to be a tech guru. If you get the basics right you can build on your knowledge to help increase the visibility of your website. Put simply, SEO is the process of optimising your site so that it appears higher in the search results pages (SERPs). Ranking higher in the SERPs means you’ll get more traffic to your site and more traffic will hopefully mean more sales. Think for a moment about how you use search engines. When you type in your search and hit ‘enter’, how often do you then click on one of the top results? Almost always? How often do you look past the first page? “Rarely” you say? Well most people would agree with you which is why the first page is so valuable and often extremely competitive. The big question now is how does Google choose what site comes first? Grandma may think the results pages are ordered alphabetically but thankfully that is not the case (can you imagine how many companies would begin with the letter A!). When a user types in a search term, Google looks through all the sites on the web and uses its (top secret) algorithm to decide what sites will be most helpful for you. If someone searches "buy apple", should Google show a list of supermarkets that sell juicy red apples or a list of companies that stock Apple products? Google is constantly researching user intent and updating its search algorithm to show results that most users are looking for. It's a tough gig, but these guys are smart cookies. Google reads through your website pages (this is called indexing) and checks out the content of your website. It looks at many different factors and tries to get a clear understanding of your website. This is where your site needs to have quality content and good onsite optimisation to make sure that Google gets the best impression possible. There are no secrets or ‘tricks’; the key to successful SEO is understanding what your customers are searching for and ensuring your website is relevant and popular for their searches. Let’s start by looking into relevancy: When Google looks at the content of your site and decides how relevant it is to the search query. 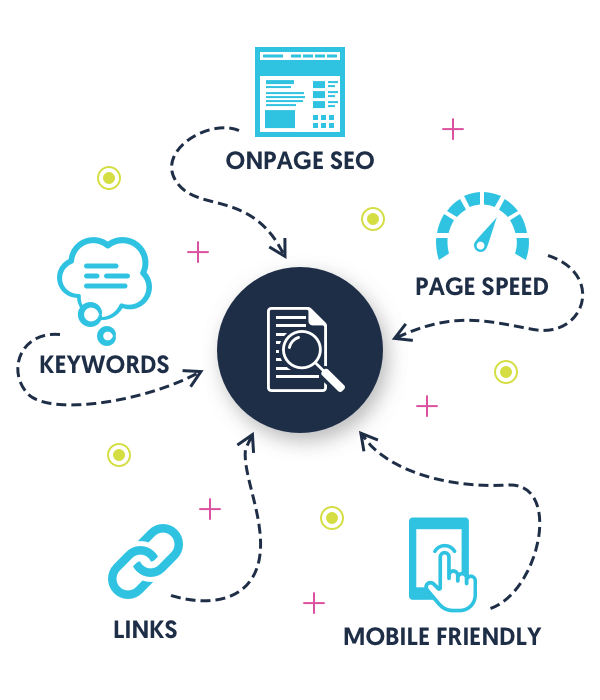 This part of the search engine optimisation process is called on-site optimisation because it is mainly dealing with things ON your website. If your website puts your visitors needs first then you’re already half way there. Quality content and a user friendly site are the foundations for a well optimised site. Then utilise a few other features to help Google read your site clearly and you’re on your way. It's crucial to have quality content on your pages both for your viewers and for search engines. Be unique i.e. not duplicated on any of your other pages or other websites. Be helpful and descriptive, try to solve your visitor’s problem. Write for people, not search engines. You should naturally include the keywords that the page is trying to rank for. For example if you sell custom made wedding dresses you will be trying to rank for people who search ‘custom made wedding dresses’ and the content on your page will naturally be describing your beautiful dresses using words such as: ‘unique’, ‘individual’, ‘wedding’, ‘custom made’, ‘bride’. Try to get the top keyword near the front. Ideally keep your description to under 55 characters (maximum of 65 characters), any longer and it will be cut off. 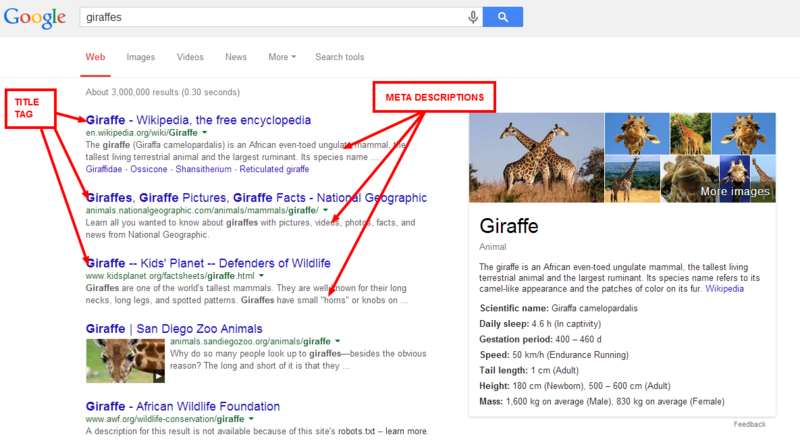 It’s important to recognise that search engines don’t use meta descriptions for rankings. These are used as the snippet of information that appears in the SERPs. They can be very helpful in encouraging people to click through to your site. Alt text (alternative text) is what shows in a web page if the image is not displayed. It is important for optimisation as it tells the search engines what the image is (they can’t see what’s in the picture). If the images match your content this helps tell search engines your page is useful to the viewer and helps you rank in image searches. Well done if you’ve made it this far. Now that your site is looking in tip-top-seo-shape, let’s head off your site into the internet sphere and look at some tips to make your site popular. Gone are the days when you could buy a lot of links from a network of sites or submit your site to rubbish web directories. Google is very good at measuring the quality of a site and the quality of the neighbourhood that site sits in. Get in with the quality sites and you’re away, get in with the wrong crowd and you could be looking at a risky future of invisibility or a Google penalty. Google loves fresh content. This shows your site is alive and cared for. A blog is a great way to show that you are the expert in your field, engage with your customers and encourage sharing. When people share your content on social media sites it does not directly improve your popularity ranking. The more social shares you get, the more chances you have of an influencer seeing your content. An influencer is someone who writes for a website and could link back to your website if they like your content**. These valuable backlinks are what you want to get from them. The good news is that social sharing generates visitors to your site anyway so really you can’t go wrong. The key, as mentioned before, is to create and **publish quality and compelling content that visitors to your website are compelled to link to and share. A natural backlink profile consists of people around the web talking about your site. One of the places people naturally do this is in forums and comments. Engage with these communities, create an account, be helpful and you can start linking back to your site when you think it might be helpful to that person. Encouraging backlinks is hard work so if you can create content that is naturally shared you’ll save yourself a lot of resources. Every marketers dream is the campaign that goes viral and does the work for them. 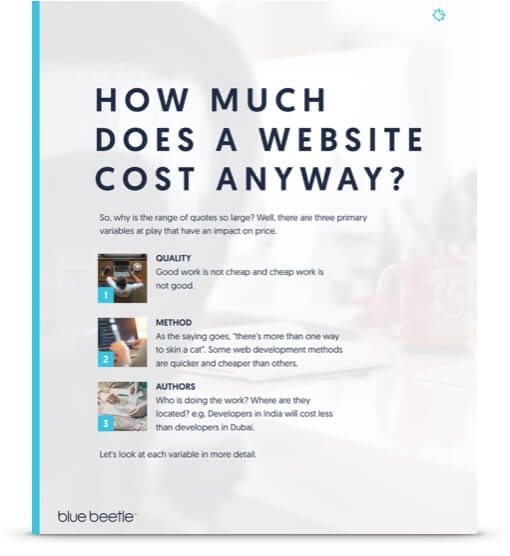 Well done on making it to the end, now you know the basics and can get optimising your website with these tips. If you want delegate this job to the experts, please do get in touch.